Paxson Kamau Irungu popularly known as Versatile is a Kenyan dancehall star who resides in the UK. Versatile recently raised eyebrows in a viral video doing rounds on social networking platforms. 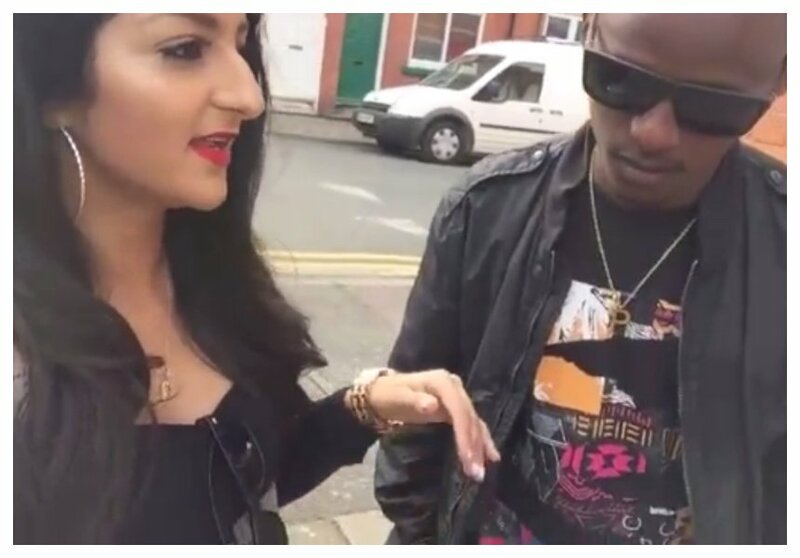 The dancehall star gave super hilarious misleading English/Swahili translation while being interviewed in UK by a British Instagram star who was curious to learn a few Swahili words. The drama started when the interviewer insisted that Swahili is only spoken in Tanzania. Versatile tried persuading her that Swahili is also spoken in Kenya but she was adamant that Kenya had its own language which she desperately wanted to learn. Versatile was pissed off by the lady’s ignorance and he deliberately decided to give her misleading Swahili/English translations. Interviewer: How do you say hi in Kenya? Interviewer: Everybody out there know my favorite food is pizza. So how do you say pizza, how do you say I like pizza? Versatile: aaa mhh you can say napenda masponsor. Once you say that, you will get a lot of friends.